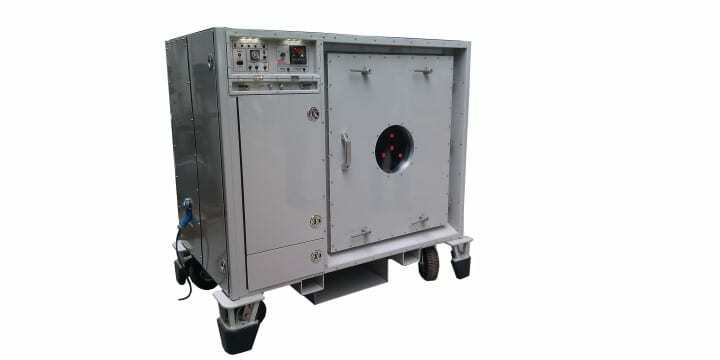 Following on from orders confirmed in September for our Chemical Decontamination Unit (CDU), to be deployed in the Middle East, we are pleased to announce a further order for an airbase in Europe. Martech’s Sales Director, Steve Hendon made the announcement this week, stating, “Sales of CDUs increase as Eurofighter’s Typhoon orders continue to grow, and further reinforces the CDUs’ position as an essential item of Aircraft Ground Equipment (AGE) supporting the Eurofighter Typhoon.” “The CDU is a great example of how Martech can develop products and technologies from initial concept through prototype and into production and military service”, added Mr Hendon. The CDU has also recently been showcased at a meeting of the UK CBRN User Group at Larkhill, to a receptive audience of industry experts. Based on Portland in Dorset, Martech is part of the Coda Octopus Group of companies and specialises in innovative electronic and mechanical design and production work for the defence, aerospace and maritime sectors of industry.